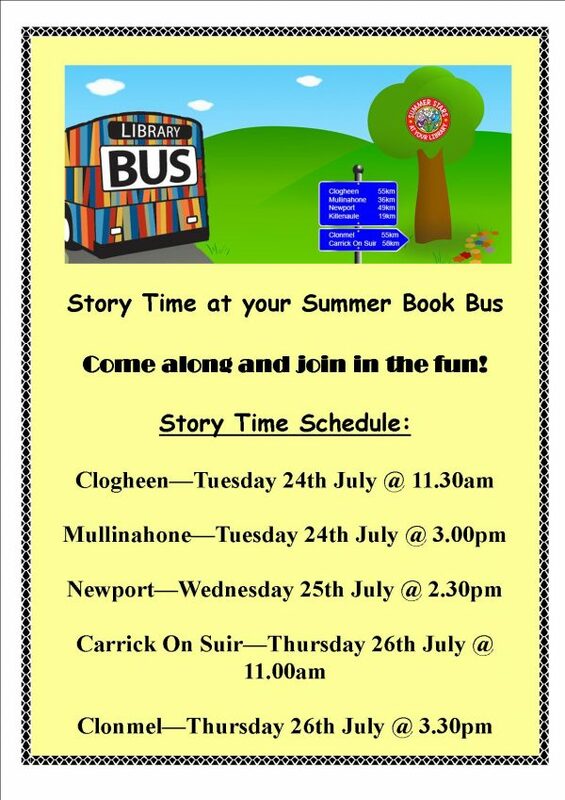 Tipperary Libraries Summer Book Bus schedule is in full swing, with our bus rolling into five venues around the county every week. The bus is stocked full with an impressive selection of books for children from babies to aged 14. You can register on the book bus to participate in the exciting Summer Stars Reading Adventure if you cannot visit one of our twelve public libraries. Pick up your registration card from any of the five locations and be one of the many children to be presented with a Summer Stars Certificate in September. We are also giving out incentives along the way and its important to us that every child in these areas have the opportunity to get involved. Our book stock is a mixed array of exhilarating and knowledge building books, to fulfil the needs of every child. Come on down and meet our friendly and eager staff. It is never too late to register for the Summer Stars, or to come along and exchange your books for new ones. We really look forward to saying hello and being of service to these five communities. 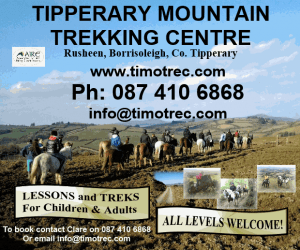 Membership is FREE and young children must be accompanied by an adult. If your child has special or additional reading needs please contact Ellen Kilmartin on 0761066100. We are encouraging as many families as possible to bring their children along, to avail of this golden opportunity to keep their reading skills up over the summer. The benefits are huge and past experience highlights the enjoyment and fun the children have each year with our Summer Book Bus. 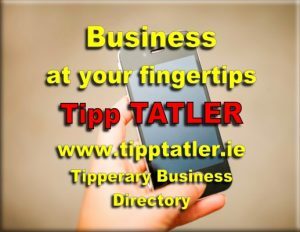 It also provides an invaluable service to families who may not live in close proximity to one of our 12 libraries in Tipperary. 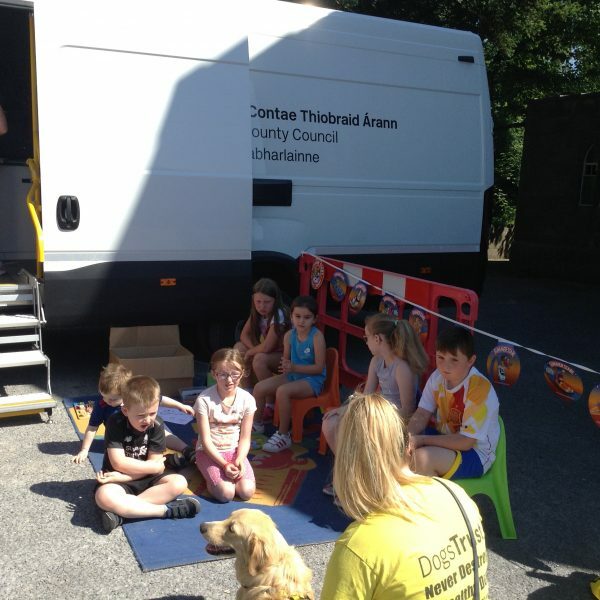 The book bus for Clonmel, Carrick On Suir have been supported by the South Tipperary Development Company and Newport by North Tipperary Leader Partnership through The Social Inclusion and Community Activation Programme (SICAP). This is funded by the Irish Government and co-funded by the European Social Fund.